Do you like podcasts? Here at The Next Web, we love them; as you probably know, we even have a couple of our own, with our Daily Dose and TNW Sessions. But what about other sources around the world? Well, it turns out that there are also interesting tech- and startup-related shows coming out of Latin America. Here are five podcasts in Spanish and Portuguese that you should definitely try out. If neither of these is your mother tongue, listening to them could also be a great way to improve your language skills! Nerdcore is a weekly video podcast, also available as an MP3. It focuses on all things geek, from gadgets and tech news to online culture and video games. 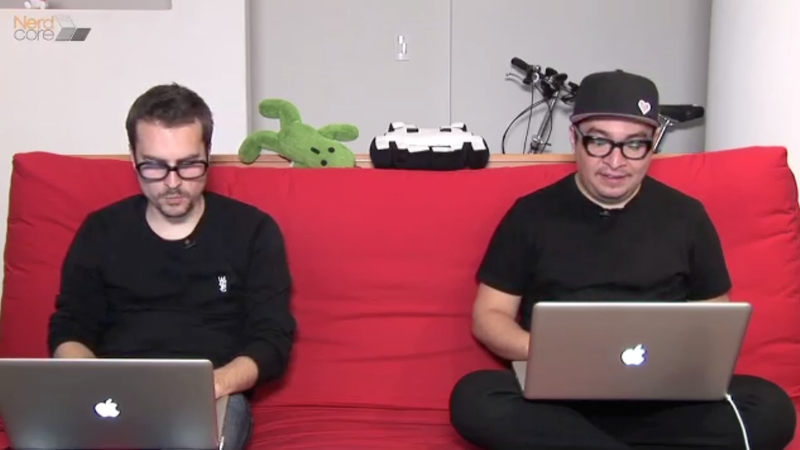 Hosted by the Mexican geeks Leo Lambertini and Oscar Yasser Noriega “Akira”, its feel is that of a small, laid-back TV show – and for a reason, since it’s also available as a live stream. With almost 150 episodes available, it has already managed to create its own casual identity and build a community: a couple minutes of each episode are dedicated to shout-outs to listeners. Besides its hosts, it quite often features special guests from the Mexican Internet scene. Man in the Arena has only released 23 episodes so far, but it’s already become a reference in the Brazilian startup ecosystem. Indeed, this Brazilian bi-weekly video podcast focuses on entrepreneurship and startups. Its formula consists of having a different guest in each episode. Key members of the Brazilian startup community have already participated to the show, from entrepreneurs to well-known investors. Despite its name, the podcast has also welcomed female guests such as Fernanda Nudelman Trugilho, founder of the co-working space Pto de Contato, Maria Carolina Cintra from Kingo Labs and Silvia Valadares from Microsoft (see our story Latin American Startups: 10 Women to Watch.) Besides the guests’ interviews, each episode also includes book recommendations and advice for wannabe entrepreneurs – the hosts Leo Kuba and Miguel Cavalcanti are both entrepreneurs themselves. Emprende.la is a Mexican audio podcast co-hosted by the Mexican entrepreneur Omar Mendoza, the podcast’s producer Celeste North and the founder of Twitea.me and Shout A Tweet, Arturo Garrido (see our previous story). With over 60 episodes, it focuses on entrepreneurship and innovation in Mexico. Its guest list has already featured names such as Cesar Salazar and Santiago Zavala from Mexican.vc, as well as many Mexican entrepreneurs. It also closely follows events that matter for the Mexican ecosystem, like SG Emprende. Emprende.la’s ultimate goal is to “foster the growth of Mexican ideas, projects and companies.” Besides the podcast, it also publishes additional content on its website (in Spanish). Do you enjoy other Latin American podcasts? Let us know in the comments.